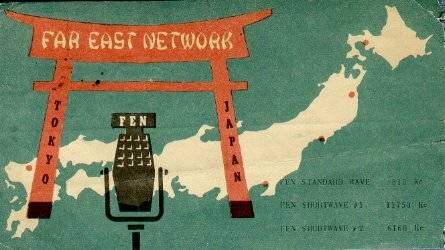 QSL card from Far East Network, Tokyo, Japan, from 1954 on 6.160 MHz. This QSL was from the Far East Network in Tokyo, Japan. This service was for United States Military Forces in Japan. 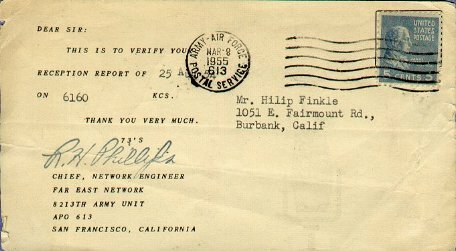 This station was well received on the West Coast on all SW frequencies from the 75 meter band to the 25 meter band.